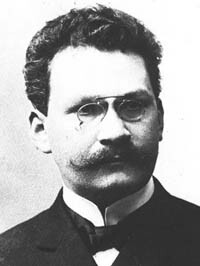 Hermann Minkowski was a German mathematician, born in Lithuania, who played an important part in the early development of the theory of relativity. Minkowski was the first to realize that the work of Hendrik Lorentz and Albert Einstein could be best understood if space and time, formerly thought to be separate entities, were treated as part of a four-dimensional spacetime with a non-Euclidean geometry. 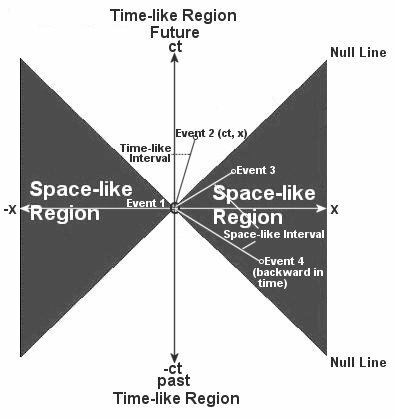 The concept of the spacetime continuum, which provided a framework for all later mathematical work in relativity, appeared in Minkowski's book Raum und Zeit (1907). From 1896 to 1902, Minkowski taught at the Zurich Federal Institute of Technology when Einstein was a student. In fact, Einstein attended several of the courses he gave but didn't create a good impression at the time. Minkowski described him as a "lazy dog" who "never bothered about mathematics at all." In 1902, Minkowski accepted a chair at the University of Göttingen, where he stayed for the rest of his life. His main interest was in pure mathematics, including number theory and geometry, and it was through his understanding of the more abstract side of mathematics and geometry in more than three dimensions that he developed the idea of four-dimensional spacetime. Minkowski space (see Figure 2) is an finite-dimensional vector space, especially a four-dimensional one, together with an indefinite inner product with one positive or timelike direction and many negative or spacelike directions. In particular, it describes ordinary spacetime in the special theory of relativity.